Lost in Leetonia: Let the snow begin! Yes, it is supposed to snow for next couple days and or freezing rain. 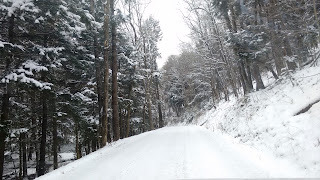 We got about 3 inches in Wellsboro last night, so I would guess more up in Leetonia.